With so many options to choose from (gourmet, classic, chain etc. ), it was quite hard to narrow down the list to just a few. We are sure that this list will spark some debate. However, the good news is that wherever you are on the North Shore, there's probably a pretty good burger place nearby. And yes, we'll take fries with that! An award- winning gourmet burger that is served with mild Amish blue cheese topping, grilled beefsteak tomatoes and grilled onions sans bun! The burger is that good that you do not need one! Two words sum up the Charlie Beinlich's experience, old school! Known for their simple hamburgers and cheeseburgers, Charlie Beinlich's is a no frills dive with a limited menu, and limited toppings for your burger (we're talking cheese, onions and bacon). They keep it simple but fresh and people continue to come back for more. A Chicago classic. Closed Sunday and Monday. Cash only, don't say we didn't warn you! Although an upscale bistro, the one and only burger on Abigail's lunch and dinner menu gets rave reviews. It's a half pound of ground in house beef, served with Wisconsin sharp cheddar and red onion marmalade, on a soft homemade brioche bun. It doesn't get much better than that. Closed Sunday and Monday. 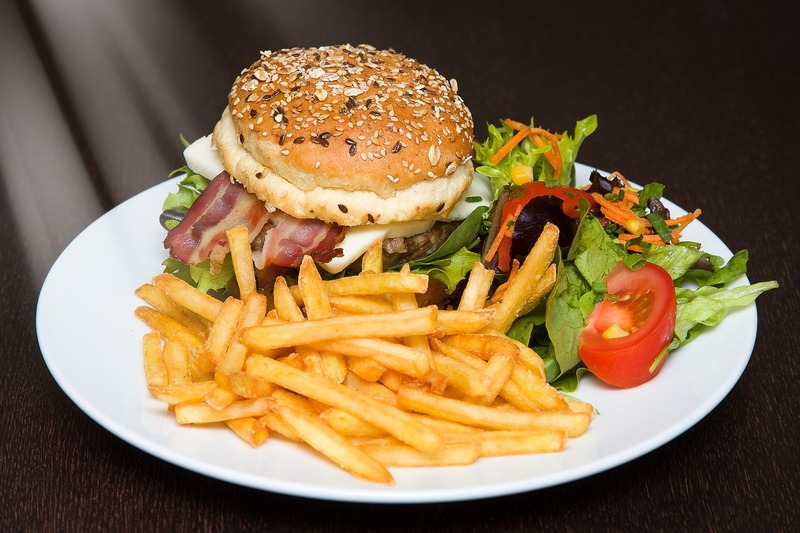 A whole-in-the-wall, local gem, the restaurant advertises its burgers as the best in town and many would agree. Casual, bar setting, they are known for their 10 oz. Tiffany Burger, but also offer an 8 oz. and as 4 oz. Jr. Burger; not to mention veggie and turkey versions as well. Now that they are open for dinner, this favorite burger joint in Evanston gets even higher marks from its loyal clientele. They hand grind their beef every day on site, and offer griddled and char options. Want local, grass fed beef? It's yours for a few dollars extra. And don't skip the awesome fries (10 different varieties) and milkshakes! They alone are worth a trip! Closed on Mondays and at 4 pm on Sundays. Established originally in a small store front on Dempster Avenue, Poochie's has been serving the Chicagoland area since 1969. Famous for its hot dogs and 1/3 lb. gourmet char cheese burgers, Poochie's can't be beat for it tasty burgers, great service, and prices! If you're looking for a quick bite in a clean and comfortable setting, this is the place. Another North Shore standby, Meier's has been serving up burgers and other comfort bar food since the 1930s. Locals love it for its casual, nostalgic vibe. It's the perfect place to sit back and relax with a burger and beer. Good simple food, at great prices and tator tots that can't be missed. Cash only.